Speak out at the EPA Hearing in Dallas! 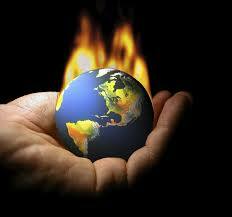 Tired of not having a say about the carbon emissions companies are putting into the air that’s affecting our climate? Frustrated because you never have opportunities to tell the government how you feel about current environmental policy? Texas is the country’s leading coal consumer and has some of the dirtiest coal-powered plants in the nation. Emissions that are released by coal power plants have a significant impact on changes in climate. Even a 1 or 2 degree change could reduce current crops by 5-15% through droughts, increase flooding by up to 10%, decrease stream flows by 5-10% in river basins, and increase wildfires by up to 4 times! With climate change influencing our daily lives, it’s time to speak up! The Environmental Protection Agency will be holding a public hearing on November 7th, 2013 in Dallas to discuss carbon pollution regulation standards for power plants. This hearing will take place on the first floor of the J. Erik Jonsson Central Library at 1515 Young Street from 10 am to 3 pm. A total of 11 public hearings like the one in Dallas place were scheduled all over the country to gain public feedback, but 2 in Boston and Philadelphia were cancelled due to the government shut down. This public feedback from the hearings will be taken into consideration as the EPA prepares its proposal that is scheduled to be ready by June 2014. This is your chance to tell the government and others your opinion on climate change disruption, and how we should be addressing carbon pollution standards. 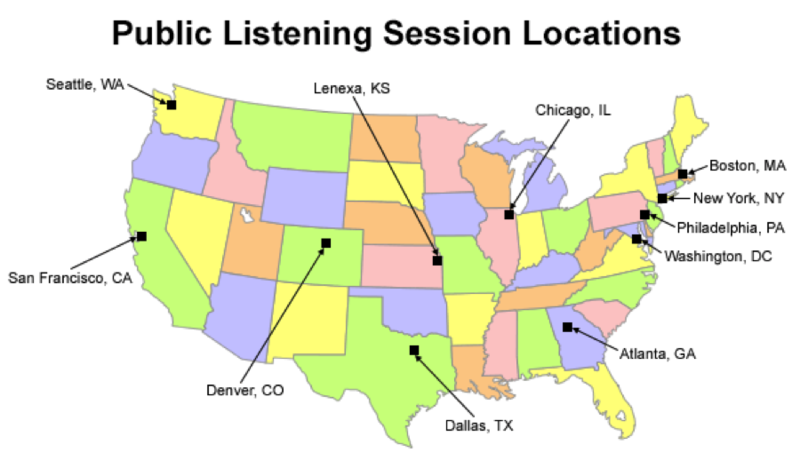 The Listening Session at the EPA hearing will allow you to tell the EPA how you want to take action on carbon pollution. Take a stand, speak up, sign up, and then head on over to Dallas! Have you ever stepped outside and felt like it was hard to breathe? Or as you entered the city, have noticed a blanket of “fog” covering it? Well what you are feeling and seeing is haze. Haze is caused when sunlight encounters tiny pollution particles in the air. Some light is absorbed by particles. Other light is scattered away before it reaches an observer. More pollutants means more absorption and scattering of light, which reduce the clarity and color of what we see. Haze occurs everywhere but surprisingly, lately the amount of haze has increased particularly at our National Parks such as Big Bend National Park and the Guadalupe Mountains. 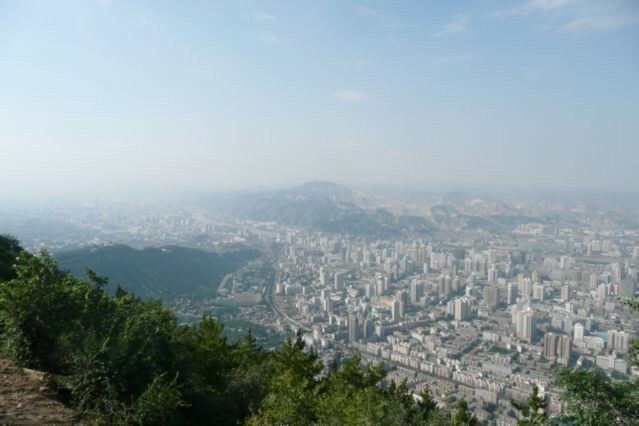 Haze causes health problems and degrades visibility in American cities and parks. The majority of Haze comes from coal plants and refineries. These power plants emit huge quantities of pollution into the air creating Haze. The Clean Air Act requires the State of Texas and the Environmental Protection Agency (EPA) to reduce and eliminate this haze. The Environmental Protection Agency has proposed a rule, however Texas’s oldest and dirtiest power plants would be exempted from installing readily available, modern pollution controls under the proposed rule. The EPA’s proposed rule would not only jeopardize the Regional Haze Rule, but it will also continue to put our national parks such as Big Bend and the Guadalupe Mountains and the health of all Texas at risk of suffering from Haze. The EPA’s proposed rule is currently on hold and is being reviewed. The Sierra Club’s campaign to “Save Big Bend and the Guadalupe Mountains” has been putting friendly pressure on the EPA. As part of the campaign the Sierra Club has sent a record number of 7,400 comments to the EPA about this issue. The EPA has said that it will announce its decision on the haze rule in November. 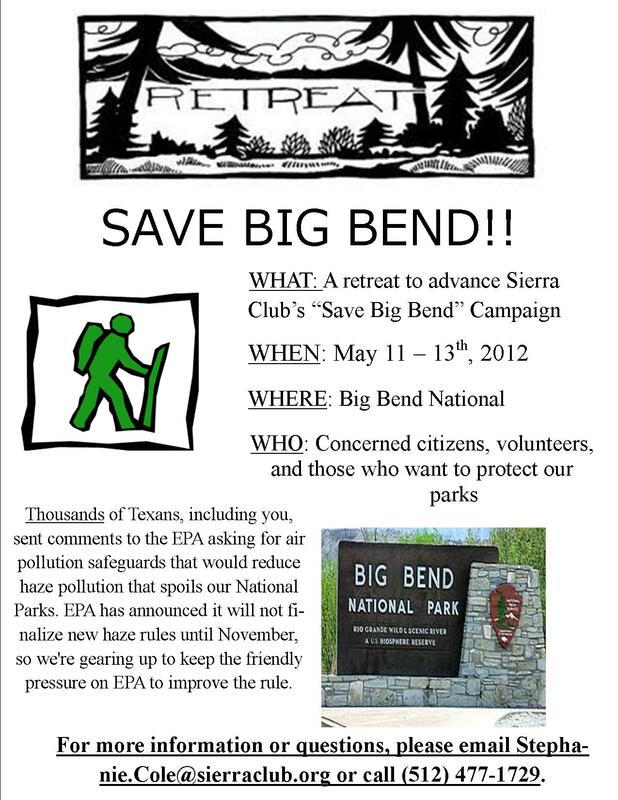 In the meanwhile, th e Sierra Club is having a retreat to Big Bend National Park on May 11-13, 2012. At the retreat, people will be able to see the beauty and treasure of the park while also learning some useful grassroots skills and meeting some other environmental enthusiasts. Everyone is welcome to come! If you are interested or simply have further questions you can email Stephanie Cole at stephanie.cole@sierraclub.org or call (512) 477-1729. Haze has become a serious issue. With your help we can make sure our health, livelihood, and national parks are protected. As you may or may not know, Texas’s iconic and beloved Big Bend National Park and Guadalupe Mountains are being obstructed with Haze. You may be wondering, “Who is causing this Haze?” Coal plants and refineries are responsible for this obstruction. 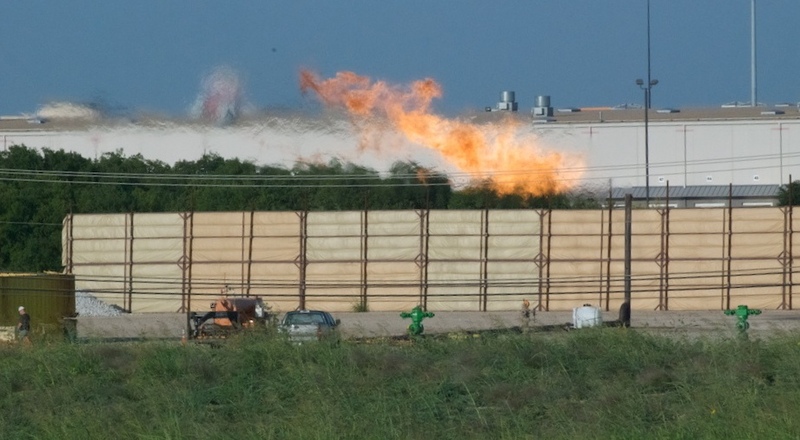 Under the Clean Air Act, the Environmental Protection Agency (EPA) is required to reduce and eliminate this haze, however their proposed rule exempts Texas’s oldest and dirtiest power plants from installing readily available, modern pollution controls. The Sierra Club has collected and sent thousands of comments to the EPA asking for air pollution safeguards that would reduce haze. The EPA will not announce new haze rules until November, but the Sierra Club is still planning to keep the friendly pressure on the EPA. You can help us! There are many ways you can help us with this campaign. Probably the funnest way you can help us is by coming on our retreat to Big Bend on May 11-13, 2012. At the retreat we’ll do the following: 1) Strategize – we need to determine our strategy for convincing EPA to improve the proposed haze safeguard. Our strategy sessions will include discussions on how we can use the press, social media, and organizing to reach our goals. 2) Training – media, communications, and organizing experts will provide short training sessions to empower us with the tools and knowledge we’ll need to win. 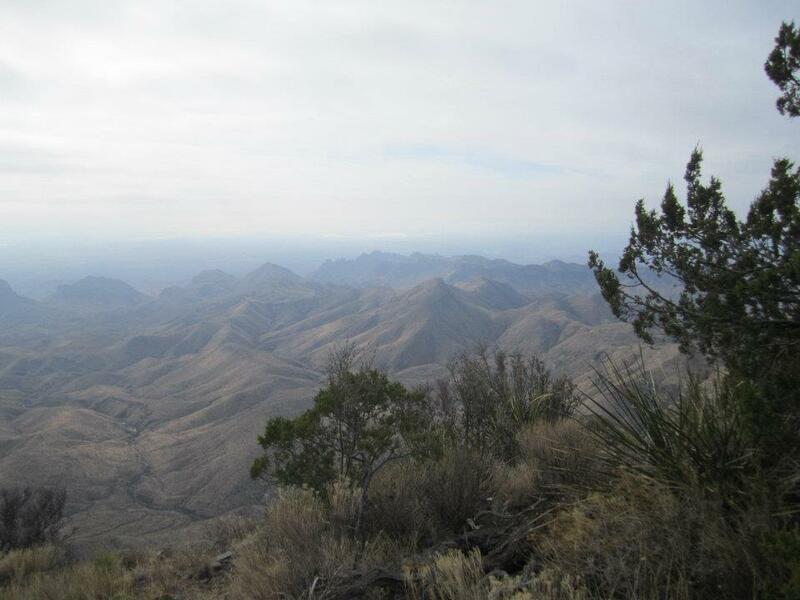 In addition, we’ll hear from experienced activists who have been working to reduce air pollution at Big Bend for years. 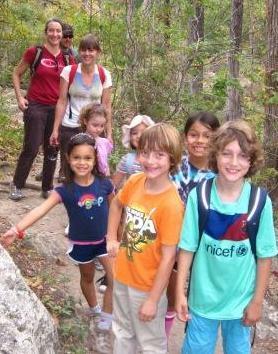 3) Networking –we’ll provide opportunities for you to get to know the other “Save Big Bend”campaign volunteers. We definitely need as much support and volunteers as possible if we want to protect our national parks from Haze. If you would like to volunteer and/or join us on our retreat, or if you have any questions, contact Stephanie Cole at Stephanie.Cole@sierraclub.org or (512) 477-1729. Weather Forcast at Big Bend: 100% Chance of Haze! 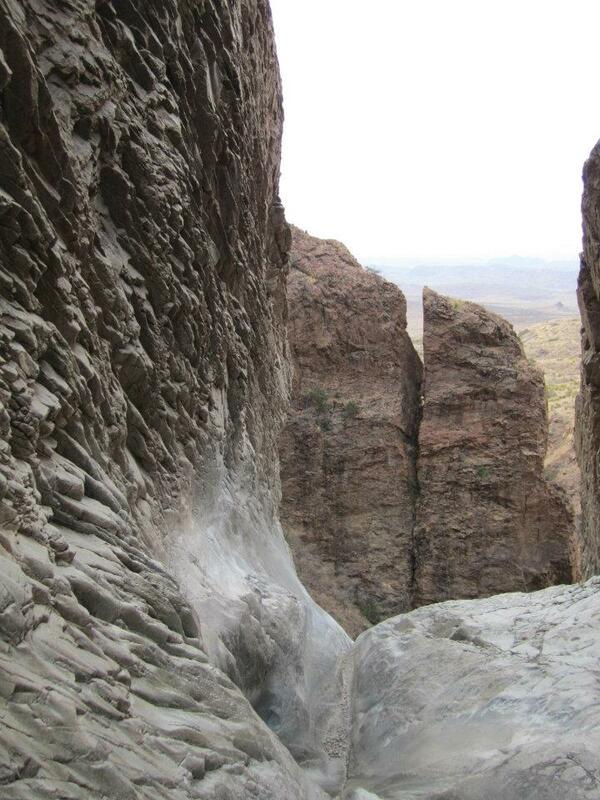 If you’re like most born-and-raised Texans, you’ve visited Big Bend National Park at least once in your lifetime. My first experience with Big Bend was at five years old, when my parents took me over the summer. We hiked Panther Park and all through the Rio Grande Valley. My parents still talk about how I couldn’t get enough of that park. I would demand we go just a few more feet on the trial so I could find a new plant or catch that roadrunner. Big Bend called me back for many more trips, including one Spring Break where my friends and I climbed South Rim and Emory Peak. We felt like we were on top of the world. 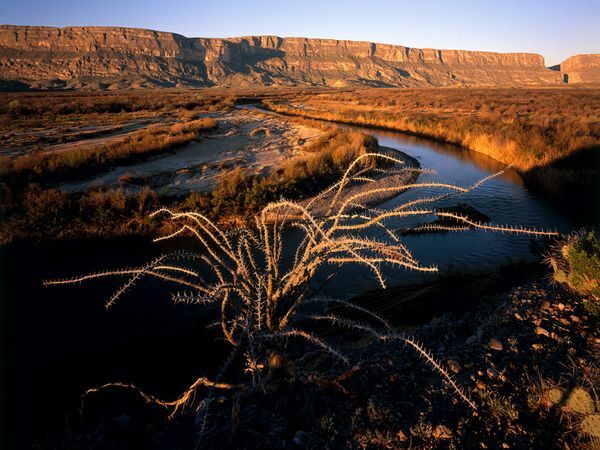 Unfortunately, Big Bend is being threatened in a very serious way. Nearby coal plants are causing a severe amount of haze pollution that is not only obscuring visibility in an area that thrives off of its breathtaking vistas, but is causing a health hazard to visitors. Haze is the visible pollution emitted from the smokestacks of coal plants. It is caused by fine particulate matter made up of sulphur dioxide (SO2), nitrous oxide (NOX) and ammonia; you know, the same stuff found in cigarettes and cat pee. Haze can be responsible for serious respiratory illnesses and can trigger asthma attacks, something that is not particularly fun when hiking in the middle of an arid national park. Apart from the health side effects that we experience and the encroachment on our scenery, haze is also responsible for acid deposition and eutrophication, when minerals and nutrients build up to unnatural levels and can kill animal life. In short, haze pollution is not only killing us, it’s killing our park! What can be done about this serious problem? 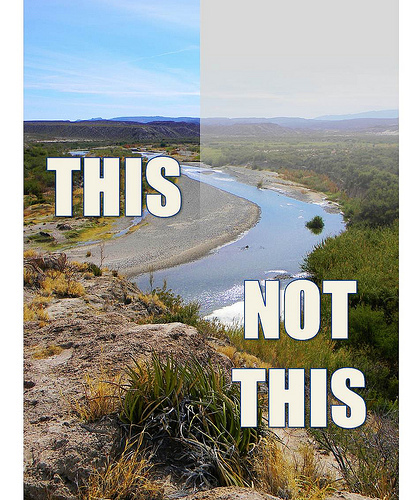 How can we preserve Big Bend for our children and grandchildren? First, we have to understand the emissions rules set in place for these coal plants. The U.S. Environmental Protection Agency (EPA) is currently in a transition process of determining the best method of reducing pollution from these power plants. Most pollution from coal plants had never been regulated until this past year, when EPA finalized its landmark mercury health protections and set targets for reducing pollutants like soot and smog. With EPA’s proposal for haze pollution, ALL coal plants within a certain proximity to national parks like Big Bend must reduce their haze emissions. Requiring these plants to reduce their pollution is extremely important. The degree of reductions is also important – EPA must ensure that the pollution reductions are meaningful. The alternative to CSAPR (In actuality, some are considering CSAPR alternative to this) is BART, or Best Alternative Retrofit Technology. BART would require ALL coal plants within a certain proximity to Class 1 National Parks to reduce their haze emissions down to a specified degree. Sound like a good idea? That’s because it is. BART will ensure the haze factories near our state park will be required to eliminate a certain amount of haze emissions from our sky. Here’s how you can help. The EPA is taking comments on these standards until February 23rd. Submitting a comment to the EPA is fast, easy, and meaningful. Tell the EPA that we want to keep our national park as beautiful as the day we first visited. I want Big Bend to remain as beautiful as when I was five years old, as aw-inspiring as when I felt on top of the world that one spring. I’m betting you feel the same way. Go online and send in a comment to the EPA telling them that you don’t stand for lax haze pollution standards. Be sure to personalize your message! Tell your friends! Get others to send a comment to the EPA, share the comment link on facebook or twitter and get everyone you know involved! 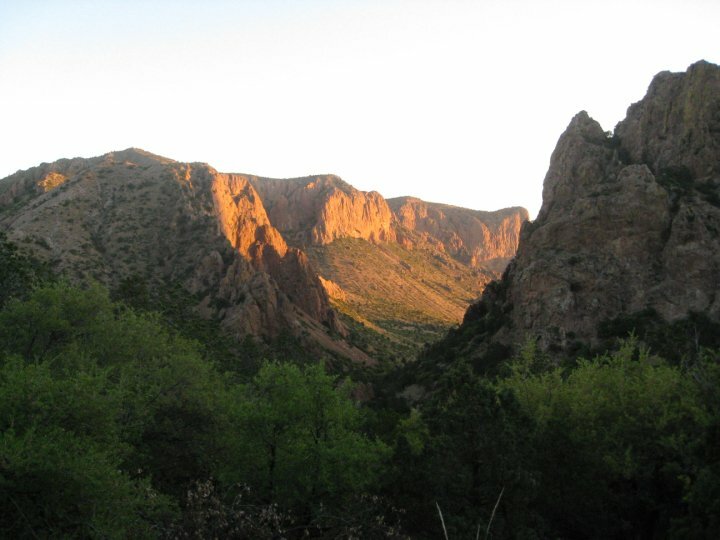 Do you love Big Bend and the Guadalupe Mountains? They need your help. We have a critical window to clean up air pollution in our National Parks. Join the Sierra Club in encouraging the EPA to protect our beautiful parks and state from haze pollution. You’re invited to RSVP and join us on a conference call to plan the protection of our Texas heritage. The EPA released the Cross-State Air Pollution Rule (CSAPR) today protecting the health of millions of Americans. The new rule helps 27 states to lower air pollution and improve air quality for all through the reduction of emissions from coal plants that add to ozone and fine particle pollution. This new rule replaces the 2005 Clean Air Interstate Rule, which in 2008 a court ordered the EPA to replace. This adds up to avoiding 1.8 million days of work or school missed by Americans and saving $280 billion/year! According to EPA Administrator, this rule will prevent 670-1,000 premature deaths by 2014 in Texas alone. Allow families to enjoy the summer without smog. Increase visibility in national parks. Texas was one of the states included in this rule, which sets limits for NOx and SO2emissions. While some in the energy industry are complaining that there was not enough time to comment on this rule, according to EPA administrator Lisa Jackson they were given plenty of time and made a number of comments. The pollution controls are widely available and many power plants have already invested in them. Also, this rule will help Texas, since Texas is affected by ozone from 11 other states! Most major cities in Texas will be out of attainment when the EPA releases its new ozone standards. Click here to see a map! Moreover, Texans are the people most severely impacted by pollution from power plants, so the CSAPR will help us to lower pollution in our state benefiting many across Texas. Also, next week Texas environmental groups will release new data that details pollution problems at existing coal plants and underscores the importance EPA’s inclusion of Texas in this new Cross State Air Pollution rule. EPA administrator Lisa Jackson thinks it is a fundamental right for people to be able to breathe clean air and raise their families without the health threats of air pollution. Don’t you agree? Click here to sign a petition supporting the EPA’s new proposal for mercury standards and continue protecting the health of American families! Join us at a meeting!The Austin group of the Lone Star Chapter of Sierra Club on the 2nd Tuesday of every month (except holidays) at 7pm (with a social hour starting at 6pm) in North Dining Room of Scholz’ Beer Garten, 1607 San Jacinto.